Allow me to say it at the very outset: No campaign run by a group of elite-strategists, cloaked in suits and ‘Satakayas’, cooped up in air-conditioned rooms in Colombo and smoking cigars and sipping cognac and wine will help the Opposition to win the forthcoming Presidential Elections. They need to make this look not only like a ‘people’s campaign’, they ought to decentralize the campaign to such an incredible extent, each and every voter must feel that he or she is directing this campaign. The impending Presidential Election battle between the people of Sri Lanka, the average voters and the reigning powers is going to assume colossal proportions before long. The only way to dispel fear from the minds of the voter is to make him confront it head-on, from the day of nominations to the exact hour when the results are declared. There must not be rest in between, none whatsoever! The fear of loss of a job, the fear of losing privileges, the fear of ‘White Vans’, the fear of intimidation and assault and even the fear of death must be dared and challenged and defeated. Then and only then the desired result would be attained. In other words, unleashing of non-violent forces this country has never seen in the history of elections must be undertaken not by the planners and strategists but more so by the common supporters – the party officials or ordinary members, wayside boutique-keepers, street vendors and container workers and drivers, three-wheeler riders and mo-bikers, farmers and teachers, Maha Sangha and priests of other religions, soldiers of the forces and policemen and women, government clerks and peons, cleaning crews and local government workers, University students and teachers, the employed and the unemployed, private sector executives and government officers – in short a massive force of middle-class, lower middle-class and the poor need to galvanize themselves and direct the top rung of society, professionals of all walks of life, lawyers and doctors, engineers and accountants and architects, planners, pundits and intellectuals to follow this non-violent campaign to convince one and all that this is the ‘mother of all elections’. What appears on the outside is a total lie, a total fabrication and a total fake. The deliberate and willful humiliation of General Sarath Fonseka, once emulated by Government Ministers and their cohorts as a ‘war-hero’, firstly by incarcerating him on flimsy charges and secondly stooping to a new low by refusing to accept the relief items collected and sent by the General and his political party for distribution among the victims of the Koslanda landslide tragedy is very apparent. This lie needs exposure at the highest and most acute level. But it must be executed by the lower rungs of the voter hierarchy. Not professionals, not pundits and so-called leaders. The average guy on the street and the three-wheeler driver, the ordinary peon or clerk in the government department, the daily train-commuter and bus traveler, the mundane housewife and the hospital attendant must be the architects and spearhead of the campaign of exposing the lie and holding aloft the truth. Take the case of impeachment of ex-Chief Justice, Shirani Bandaranayake. Harassing the High Priest of the Judiciary and throwing her to the wolves in the ‘den’ called Parliamentary Select Committee was no accident nor was it hastily steered Statecraft. It was a ploy planned with meticulous care and scrupulous sensitivity to detail to get rid of a thorny irritant from the lordliest seat in the judicial system. At the time this sad episode started unravelling, due to the idiotic stance adopted by the then United National Party (UNP) leadership of Ranil Wickremesinghe, the average man or woman in the country could not relate to the very phenomenon of the ouster of the Chief justice from her Chair. They are only now suffering the consequence of that process. So, when the bigwigs, the leadership of the UNP and the rest of the Opposition failed so miserably, how can the ordinary voter respond to this nasty turn of events? How difficult or easy is it going to be, this campaign to be guided and actually run by the ordinary? How is one going to plan this and execute it to an acceptable degree? A democracy that is salubrious in the context of societal expectations and yet constrained so that the fundamental decencies of human behavior are observed, cannot be sustained without structures that are essentially integral to the whole. And accountability and transparency at the highest level of governance. And that is precisely what the ‘Common Opposition’ and its candidate have to promise to bring about during the campaign. In this context, not only Anura Kumara Dissanayake but all the speakers of the Janatha Vimukthi Peramuna (JVP) are outstanding. They can articulate really profound arguments in simple terms the general masses can understand and relate to. That skill was possessed by R Premadasa to a great extent and to some considerable degree by Lalith Athulathmudali and Gamini Dissanayake in the past UNP. Now the UNP does not have a single speaker who is possessed of such oratorical talents. But it does not matter so long as the capabilities of Anura Kumara, Lal Kantha, Vijitha Herath and Handunhetti are available for the ‘Common Opposition’. Making the Presidential Elections a ‘referendum’ on the incumbent, as was enunciated in one of my previous columns, is pivotal in directing the propaganda onslaught against the current holder of office. As was revealed over the last couple of days, political deals by unscrupulous elements whose ambitions and lifetime goals are shrouded by a shady past and even shadier present should not be allowed to hoodwink the masses yet again. Sri Lanka does not belong to ‘deal-makers’ although timely-executed bargains between politically diverse groups such as the formation of the ‘Common Opposition’ do define the demands, challenges and solutions at the present time. Concentration of political criticism of the incumbent on his strongest points is not only vital, it is crucial to the campaign of the ‘Common Opposition’. What is the incumbent’s strongest point? Obviously it is the ‘war-victory’. 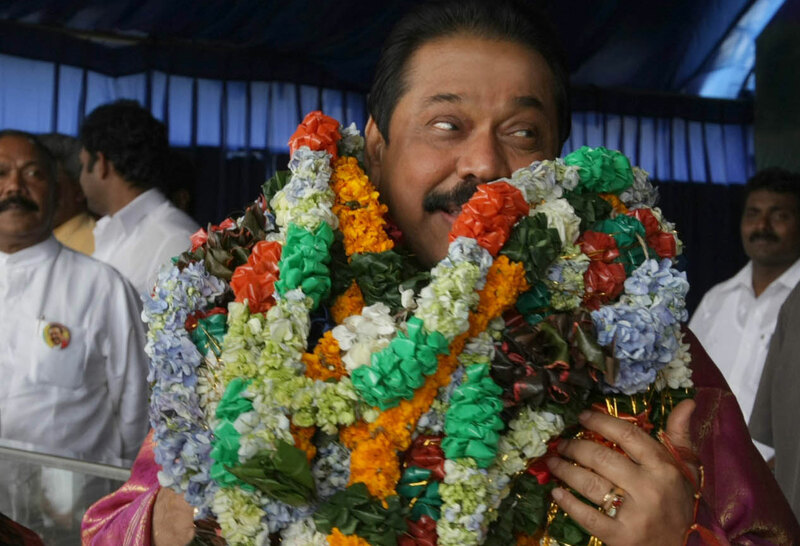 There are ways and means of neutralizing the Rajapaksa myth of ‘war-victory’. By spelling it out here, before the campaign is launched, I do not wish to jeopardize the chances of the ‘Common Opposition’. Mangala Samaraweera, the UNP Media Director would understand that and I’m sure he would follow the same logic. There is a great deal of apprehension among the masses that even if the real result is a victory for the ‘Common Opposition’ and its Candidate, someone else would be declared the winner at the declaration point. This same phenomenon existed in the Philippines when public outrage led to the snap elections of 1986 and to the making of the so-called ‘People Power Revolution’ in February 1986 that ousted the then ‘warlord of the Philippines’, Ferdinando Marcos. Although Marcos tried his best to hang on to power through the military might of his close associate, General Fabian Ver, the Chief of the Armed Forces of the Philippines under him but he failed. It is suspected that he was the mastermind of the assassination of former Senator Benigno Aquino, Jr. However, as history was the unwavering witness, Marcos could not withstand the storms unleashed by the people’s power. Such is the might of people’s power. Let us take history as our mentor! « Using Universities For Political Goals, How Dare You Speak Of Principles!